Handsets apparently stopped working for some four hours before service was resumed, though there is no official sign that the ban has been lifted or that a compromise has been made. There have, however, been unconfirmed reports that RIM found a solution to the potential security issues raised by Saudi authorities. 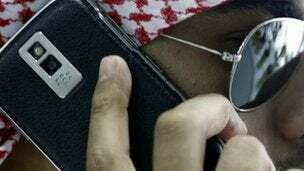 The agreement would involve placing a BlackBerry server inside Saudi Arabia to allow the government to monitor messages and allay official fears the service could be used for criminal purposes, the official said.